Hooray for us Brits – because apparently we have far and away the highest number of digital TV homes in Western Europe. In fact, according to Informa Telecons and Media's research, the UK is trouncing both Germany and France in the digital TV race, despite having a smaller population – with 22,268,000 households already watching Freesat, Freeview, cable, IPTV or satellite broadcasts. 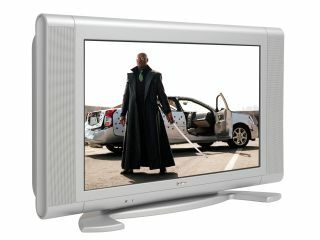 The number is projected to arrive at over 100 million Western European households watching digital television rather than analogue by the end of 2008. Germany's 2007 figure was 15,300,000 digital households, a distant third behind France's 18,017,000. Italy and Spain weigh in with 11 million and 8 million respectively and the other nations combined make just under 14 million. Currently, it is cable that is dominant in Western Europe – but satellite is getting stronger and digital terrestrial television is expected to overtake it by 2011, a year ahead of the final digital switchover in the UK. Adam Thomas, Informa's Media Research Manager, said: "While cable will remain the region's leading pay TV platform, the satellite subscriber base is eating into its dominance. Satellite's much higher ARPU levels mean it will overhaul cable in revenue terms during 2009. "DTT often provides a similar channel line-up to analogue cable, usually for no monthly fee, so will benefit from churning cable customers. IPTV is also using attractive triple-play bundles to tempt away cable subscribers."